It may happen everyday that database reports error or system tablespace damaged, or cannot be accessed. It is too risky for your enterprise IT system. Most of cases can be resolved by RMAN. PRM (ParnassusData Recovery Manager) is developed by Java which can be run all kinds of JAVA supported platform, Including: AIX, AIX、Solaris、HPUX、Linux and Windows. PRM Support Oracle database which starts from 9i, 10g, 11g to 12c. However, few cases are failed to recover from RMAN or Achieve lost. The only left is inconsistent data files that are not usable for Oracle database. Many DBAs did not realize that the data is still usable, but just cannot be read by Oracle instance. PRM is that kind of tool, which can read the data direct from disk or file system without Oracle Instance. PRM can work on damaged file systems, ASM DiskGroup and data files. Even if Oracle data dictionary lost, PRM can also scan and recover dictionary based on inconsistent SYSTEM.DBF tablespace backup. 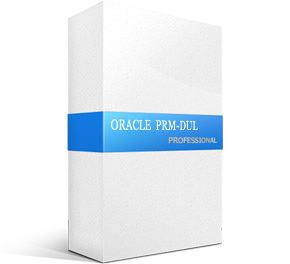 PRM can support most of Oracle database functionalities for example, Cluster, LOB, and partition. PRM is developed by JAVA and click to use version, which can work with AIX, Solaris, HPUX, Linux and Windows. PRM optimized table recovery from truncated table.